Hypertension, or high blood pressure, is a chronic medical condition in which the blood pressure is elevated in the arteries. This means the heart has to work too hard to pump the blood through the system. Blood pressure is determined both by the amount of blood your heart pumps and the amount of resistance to blood flow in your arteries. To check blood pressure either a gauge, stethoscope or electronic sensor is used with a blood pressure cuff. With this equipment, the systolic pressure is measured , which is the blood pressure when the heart beats while pumping blood and the diastolic pressure, which is the blood pressure when the heart is resting between beats. In general, the ideal blood pressure is 120/80 mmHg and it is considered high in 140/90 mmHg and dangerous in 180/110 mmHg. Hypertension is the leading risk factor for disease burden worldwide. Approximately 4 in 10 adults have raised blood pressure, which often goes undiagnosed, but healthy lifestyles and attitudes can help combat hypertension. High blood pressure may give rise to many diseases such as kidney failure, heart stroke, diabetes etc. Low Carb High Fat is an easy way to bring down the blood pressure level; which in turn helps in bringing down the risk of acquiring these diseases. Studies indicate that bringing down blood pressure brings down the chances of many diseases from occurring and low carb diet is ideal to lower blood pressure. Age: as we age, our blood pressure increases. If you have a poor diet, smoke or drink excessively, or eat unhealthy food, the risk increases for developing this disease. Sleep apnoea: is the cessation of airflow during sleep preventing air from entering the lungs caused by an obstruction, resulting in increased blood pressure and stress on the cardiovascular system. Obesity: being overweight is linked to so many higher blood culprits. For instance, sedentary lifestyle, poor diet, increased sodium levels and raised insulin levels, all prompt conditions like diabetes, heart attack, and stroke. Sedentary lifestyle: long-term sedentary lifestyle, in other words, a lack of exercise, which leads to weight gain and undue pressure on the heart. Drugs, alcohol, and smoking: drinking excessive amounts of alcohol, smoking or using recreational drugs can put stress on the heart and arteries. Poor diet: high blood pressure and heart conditions are linked to obesity and diabetes are linked to sugar and high carb diets. Hormonal conditions: some hormonal diseases such as Cushing’s syndrome can result in hypertension. Kidney disease: when triggered when adrenal glands secrete too much cortisol hormone, which elevates the flight response and increase blood pressure. However, the overwhelmingly more common type of elevated blood pressure is the kind that doesn’t have a clear cause, so-called primary hypertension. In these cases, it’s often part of what’s called “metabolic syndrome”, also known as the disease of the Western world. Metabolic syndrome is typically caused by eating more carbohydrate than the body can handle. This primarily true for high-glycemic carbs that are quickly digested, such as white flour and pure sugar. Carbohydrate starts getting broken down into simple sugars as soon as it arrives in your stomach, which raises your blood sugar the moment it’s taken up by the bloodstream. The body then produces more of the hormone insulin, in order to take care of this blood sugar. Raised insulin levels seem to lead to the accumulation of fluid and salt in the body. This increases blood pressure. In addition, high levels of insulin can thicken the tissue around blood vessels, which also may contribute to an elevated blood pressure. Eat a well-balanced LHCF diet and maintain a healthy weight. : the hormonal effects of LCHF make it easier for the body to dispose of excess salt through urine; this can explain the slight lowering of blood pressure. Limit alcohol, coffee and quit smoking: it’s always a good idea to completely stop smoking for your health in general, not just your blood pressure. Reduce your stress: when faced with a stressful situation, our bodies react by releasing stress hormones into the blood. These hormones prepare the body for a rapid response by making the heart beat faster and constricting blood vessels to get more blood to the core of the body instead of the extremities and that makes the blood pressure go higher. Enjoy regular physical activity: regular exercise has been seen to decrease blood pressure and it also keeps your muscels active. Take your medication properly: blood pressure-lowering medication tends to primarily reduce the risk of the having a stroke, heart failure or damage to the kidneys caused by elevated blood pressure. Know your numbers: the best way to know if your blood pressure is in a healthy or unhealthy range is to get it checked. 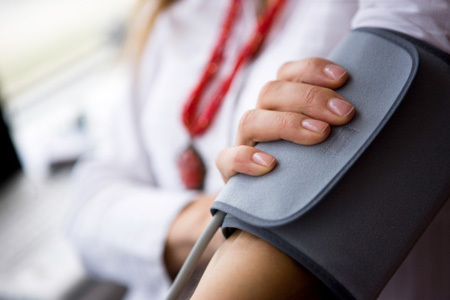 If high blood pressure is diagnosed, regular monitoring can help confirm if you have high blood pressure, detect patterns and alert you to any changes. It will also show you if the changes you’ve made are working. World Hypertension Day, 17th of May, is an educational event, designed to prevent instances of hypertension. Created by the World Hypertension League in 2005, the day is intended to increase awareness of the condition and issues surrounding it. Awareness of hypertension is considered to be vitally important, due to the number of deaths linked with associated heart attacks, kidney disease, and strokes. The purpose of the day is to promote public awareness of hypertension and to encourage citizens of all countries to prevent and control this silent killer, the modern epidemic. Eat Better South Africa is going to collaborate with Habib Noorbhai, the current Mister South Africa 2017, to promote healthy habits and the introduction of the LCHF diet to prevent high blood pressure, diabetes and other diseases related to the metabolic syndrome. Multiple studies on low-carbohydrate diets show improved blood pressure and more improvements than on other diets. As a bonus, a low-carbohydrate diet also usually leads to weight loss and improved blood sugar levels. The LCHF diet has been shown to be safe and effective for people with high cholesterol, diabetes, and non-alcoholic fatty liver disease. In fact, clinical studies have shown that Low Carbohydrate High Fat (LCHF) diets effectively lower blood sugar, triglycerides, insulin, and saturated fat. They also can help reduce blood pressure and weight and even increase levels of good cholesterol. LCHF diets inherently increase the relative amount of protein and fat consumed per day. These diets are primarily made up of leafy green vegetables, nuts, fish, eggs, seeds, unprocessed meats, dairy, and plant oils. While it may seem counter-intuitive that consuming more fatty foods would cause weight loss, this is not the case. LCHF diets have been known to decrease hunger resulting in an overall decrease in daily caloric intake. It has also been proposed that LCHF diets provide a specific metabolic advantage. The increase in dietary protein has led some to worry that kidney function could be impaired. To date, there has not been any evidence to suggest these negative effects occur in people with normal kidney function including diabetics. Hypertension is a disease that not only affects a large majority of the population, but their consequences can have an impact on a large scale. A huge percentage of people with hypertension and other lifestyle-related diseases can be prevented with little changes in your daily routine. Looking for a way to help or give back? Help us spread the word by donating to Eat Better South Africa – our community education initiative!